When you plan your trip with us, you'll be in the safe hands of one of our specialists from day one. While many travel companies claim to have experts, we believe few, if any, match our specialists for actual first-hand knowledge. The travel advisor who designs your trip holds a strong connection to the country they have expertise in, either they have lived there or they have explored it time and time again. Hello! My name is Stella Gressis and I am the founder of Asimina Tours. Born and raised in Greece, my family decided to return back to the USA when I was young to better our family and experience the American dream! When in the USA, I always experienced the nostalgia of returning back to Greece. Traveling and culture has always been strong interests of mine. After graduating from a specialized travel school in Pennsylvania, I immediately secured a position with a major airline where I held supervisory positions at National and Dulles airports and in marketing & sales positions in Pennsylvania. My career in the airline industry lasted for 10 beautiful years which gave me the opportunity to learn many aspects of the travel industry and to travel extensively to many parts of the world and to my motherland, Greece. Thereafter, I expanded my travel knowledge by working at a tour company which broadened my horizons in the travel industry as a whole. This was the time that I finally decided to start something of my own. 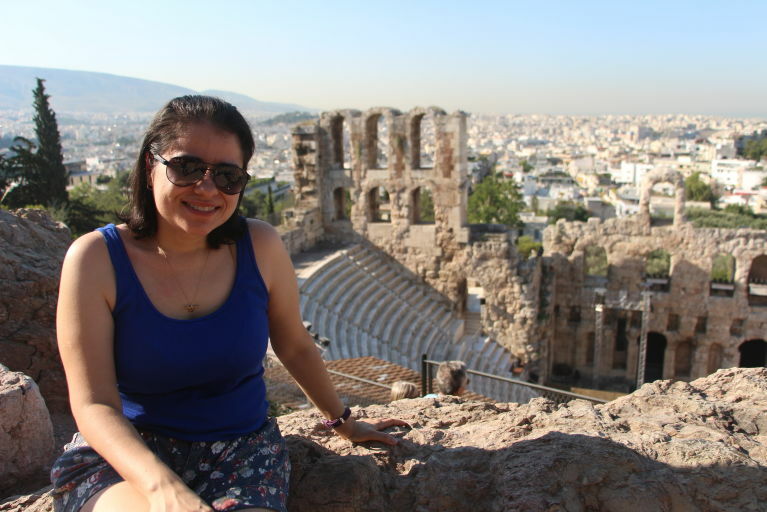 My experience in the travel industry, my appreciation for culture, and joy in planning vacations (especially to Greece) inspired me to create Asimina Tours. Please read "our story” for the reason why I called it Asimina Tours. I can't say it's been easy but my passion and dedication to Asimina Tours brings it to what the business is today! A very successful travel company comprised of very dedicated and passionate team members (and some family members) that really care about what they do. 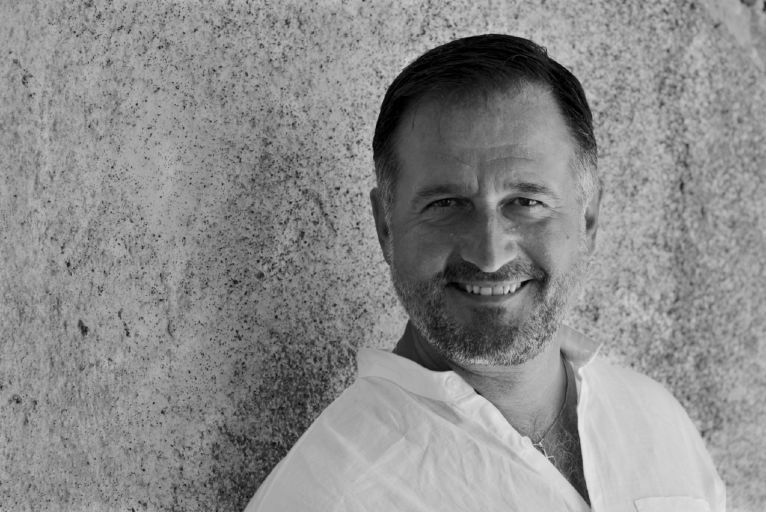 On a personal level, I am happily married to Dimitri Tzimos who also works for Asimina Tours. 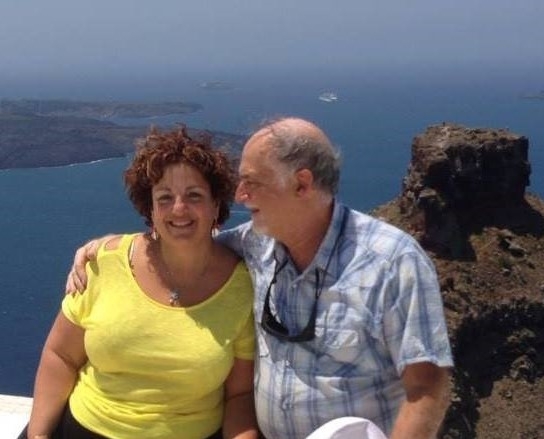 We met on the island of Santorini in May 2009 (who would have known you could meet your husband on a honeymoon island, right?) and a couple of years later we got married. We have a beautiful son together, baby Antonio, we love spending time raising him. Another passion of mine is food, and cooking is a skill that I am working on perfecting! Hello, my name is Dimitri Tzimos and I am the marketing and sales executive with Asimina Tours. I have been in the Hospitality and Hotel Management industry for well over 25 years, having graduated in Greece from TEI College of Finance and Administration with a major in Tourism. The majority of my experience comes from managing boutique hotels on the famous Caldera cliff side on the island of Santorini. Meeting Stella a few years back, made us realize that our travel industry expertise from the airlines, tour companies, and hotel and service management combined with our strong passion for travel and our work ethics could greatly enhance Asimina Tours. Therefore we decided to join forces to help Asimina Tours grow as a business to what it is today. On a personal level being the traditional Greek that I am, I continually thrive in finding unique travel and cultural experiences that are off the beaten path, in which I ensure is all shared with you. While on your travels throughout Greece,Turkey and Italy, allow Louisa (Asimina) Gressis, for whom the company is named after, to be your reliable and knowledgeable travel advisor. Louisa travels to Greece and to Turkey from April to October and can provide an abundance of information for each country. In the winter time and during her off time, you'll find Louisa teaching authentic Greek cooking classes at Galazio (her own restaurant) in La Plata, Maryland. 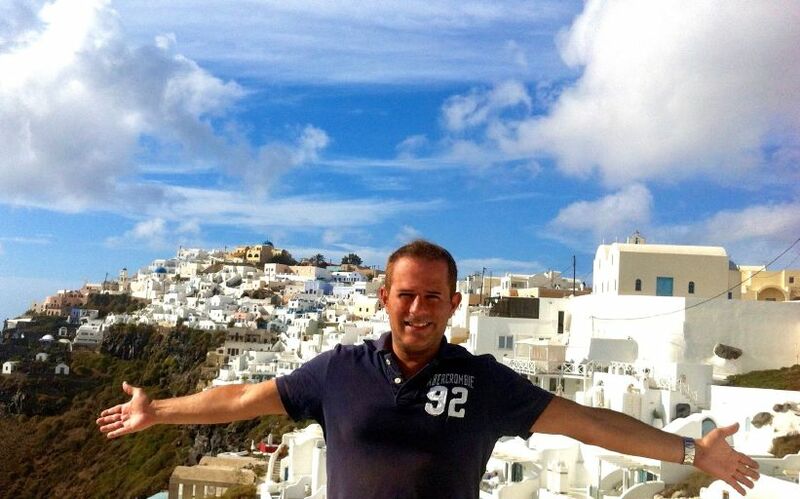 Hello, my name is Panos Exarchos, I am Greek Canadian and a dedicated travel advisor for Asimina Tours! I have a college degree in Marketing Management from the American College of Greece and have had a successful career in Greek Television and Theater as a screenwriter. Now I spend my time planning your dream vacations with Asimina Tours! I started working with Asimina Tours a few years back. The reason is actually simple - ever since I was young "travel" has been my passion. I have traveled extensively for years in Europe and the US. I have explored and stayed all over Greece and especially in the Greek islands. Working for Asimina Tours gives me the chance to spend every summer in the magical island of Santorini and the gorgeous Aegean islands. “Life can’t get any better" do you agree? Typically I travel at least once a year on a transatlantic trip to the USA which is my favorite country. Sharing my insight, knowledge and experience to help my clients create fantastic memories is one of the most fulfilling sentiments for me. Nothing makes me happier than clients’ e-mails and messages upon their return back home telling me that they had a great, once in a lifetime, vacation. Knowing that I played a small part of their unforgettable and successful trip experience brings a huge smile in my face and a warmth in my heart. Besides travel, I love my friends who I consider my family, animals (especially dogs! ), Theater, Movies, American TV shows, all Apple products, reading books and spending as much time as possible in my beloved New York City! Hello! My name is Moema Professor and I work as an Accounts Executive for Asimina Tours! I graduated from the Federal University of Sergipe, in Brazil, and became a dentist. I did this for a few years but this career path was not fulfilling me personally. I decided to make a big change in my life and find what made me “happy”. Some of the things I enjoyed were travel, culture, food, children and family time. I dedicated myself to work as a stay at home caretaker to a beautiful family in the USA. This gave me the opportunity to experience life in the USA and to travel. While in the USA I met Stella, the owner of Asimina Tours. Working for Asimna Tours “felt right” and it was exactly what I was looking to do in life. Since I love Culture, travel, great food and “family”, Asimina Tours was the perfect fit for me. I have been in the travel industry for a few years now working with suppliers in Greece, Italy and Turkey and traveling as often as I can. I am loving every minute of it!